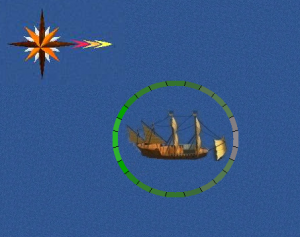 Fast Galleon is ship class seven and you need wind to come directly from behind to gain maximum speed. Green indicates where the wind has to come from compared to the ship to gain the best speed. Grey indicates the worse direction the wind can come from.